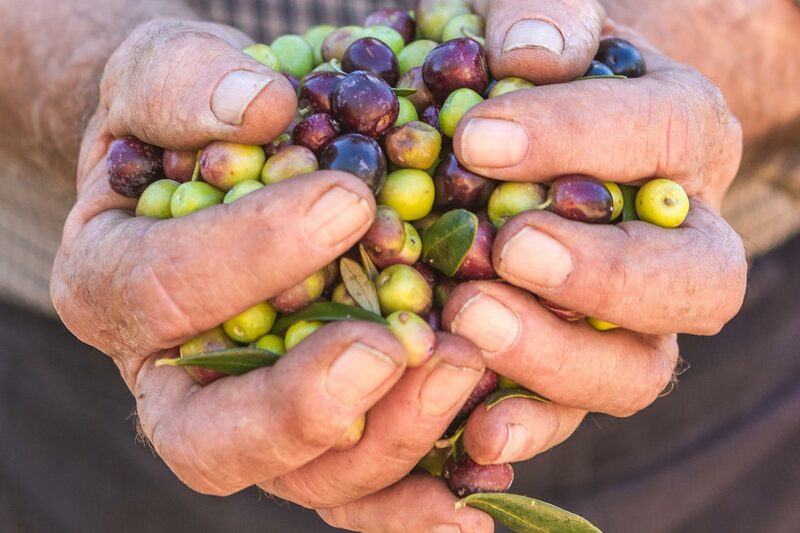 Our farmers lovingly tend to the olive trees throughout the year so that come autumn the olives are ready to be picked. Only the finest olives make the cut though! When the ripe olives arrive at the frantoio, or mill, they are washed and any extraneous leaves or twigs removed. The clean olives go into the crusher to be ground into a paste, which subsequently goes into the malaxation machine where it is slowly churned to allow the oil droplets to aggregate together. The smell of fresh olives in the frantoio is mouthwatering. Next is the first of two centrifuges which separates the oil and water from the pomace which is removed and recycled. These horizontal centrifuges spin at approximately 2,500 rpm, but there is more rotation to come for the olives! The oil and water then go to a second, vertical centrifuge which separates the oil from the water. These spin at approximately 6,000 rpm - dizzy! Finally, the oil is either filtered or goes into a decantation tank where any remaining cloudiness is allowed to settle out. Once ready, the oil is bottled into tins ready for delivery. This is the end of the journey for the olives, but the start of a taste sensation for you. Only the finest olives make the cut though!